Some of the best brisket in Houston. I’ve driven by this place many over the years, but never bothered to give it a try until reading Daniel Vaughn’s 11/14 review in TMBBQ. He gave it a 4.0 out of 5, which would make it a contender for a ‘Top 50’ in Texas rating with Texas Monthly. Have to agree with Daniel…indeed, some of the best brisket in Houston here at Roegels, formerly known as Baker’s Ribs. Have tried them 4 times over the past month—solid each time. Wonderful, crispy smoke ring on the brisket. 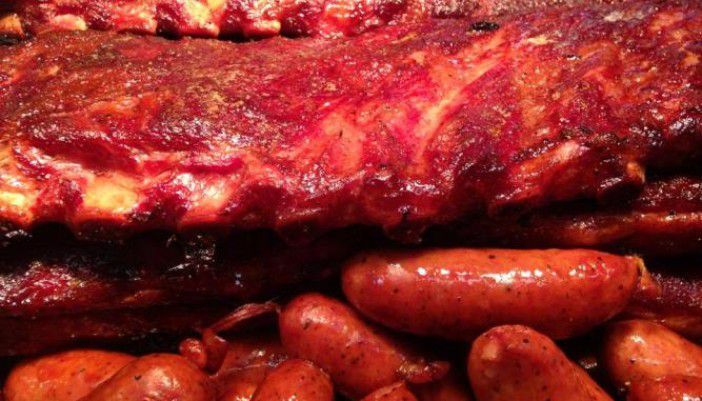 Check out their twitter site for current updates…(@thepigonvoss)..have had beef ribs available the past few Friday’s. Open until 8pm nightly.